All major platforms including Sony Playstation PS3, PS2, PSP, Vita, Microsoft Xbox 360, Nintendo Wii, DS, DSi, 3DS, and PC. One of the largest wholesale distributors of video games and consoles in Europe, we supply from the warehouse in South London, UK, ship worldwide, and offer competitve prices. Product arrivals are every day, the stock list includes all major consoles and 1000s of video games, including the most popular titles. All items are on hand in the warehouse, ready for dispatch. We ship out on the same day as we receive the order and the payment. 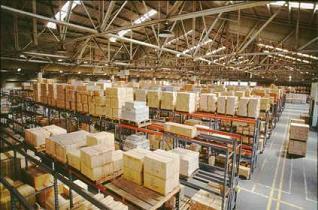 The warehouse stocks large quantities and we are able to supply largest distributors, wholesalers, and retail chains. In additon to customers in almost every country in Western Europe, we supply to customers in many countries in the Middle East, such as Israel, U.A.E, Kuwait, and Saudi Arabia; in the emerging markets of Eastern Europe and former soviet republics, such as Russia, Kazakhstan, and Ukraine; in Asian countries, such as China, India, and Tailand; in Australia and New Zealand, and in both Americas, incuding USA, Canada, and Brazil. We supply both new releases and back catalogue items. We source stock from various suppliers to ensure lowest cost and are able to offer the product for very competitive prices. We work directly with many publishers and can supply most of the popular new releases. Please contact us for requesting the stock list and opening an account with us. We accept applications from companies that already have established channels of distribution, wholesalers, distributors, and retailers.